Ashlar-Vellum Kinetics offers an easy-to-use set of precision motion simulation tools at an affordable price point that’s independent from any particular CAD or 3D modeling software. Available for both Macintosh and Windows, Kinetics enhances engineering design, optimizes product and assembly performance, and reduces the number of physical prototypes needed. In its virtual test environment, Kinetics determines the physical movement of a model or assembly, calculates the forces and analyzes components, helping to solve common challenges through time-based motion studies. 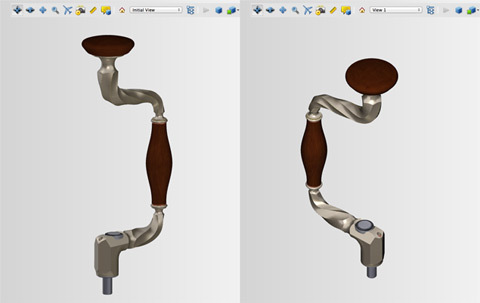 Simply load the model, appoint the joints (connections), click the button and watch what happens as it simulates the motion and presents an analysis of your model. Unlike other motion simulation software, Kinetics follows the Ashlar-Vellum Organic Workflow™ that allows you to test parts and assemblies at any time or from any model in your design process. Simulate motions in Kinetics—define time-based, rigid body studies using kinematics or dynamics. Determine motion optimization by evaluating actuator force and joint loads. Assess product performance through it’s cycle of operation. Analyze the design for range of motion, part displacements and overall performance. Gear Assembly 3D motion simulation. Model designed by Jesse Luis. Render with realism—Apply materials from the extensive library then render in real time for high quality visualization. 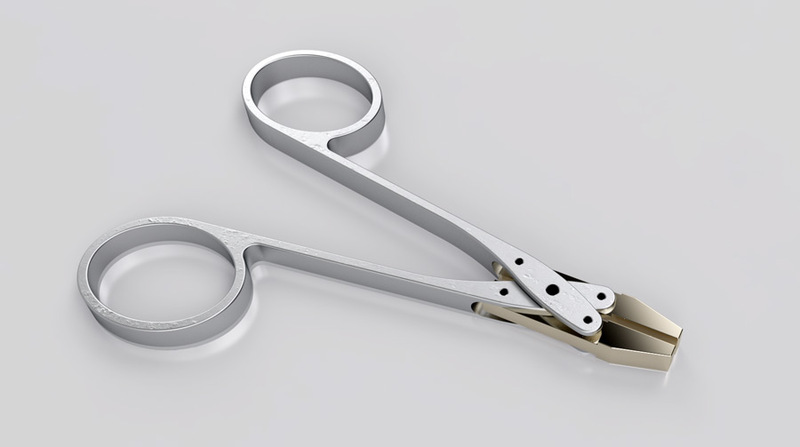 Watchmakers’ Tongs. Materials setup and rendered in Kinetics. Model designed by John Bicht. Animate components and assemblies—Show machine motion or walk through an environment. Yo-yo toy assembly exploded in Kinetics. Model designed by Troy Starkey. Export in 3D—Share your simulation in any number of different ways including 3D PDF, 3D HTML and proprietary file formats that support tablets. Brace drill model exported to 3D PDF (13 MB). Model designed by John Economaki. Use your choice of 3D modeling program on Mac or Windows. Use with Graphite v9 files and Graphite™ Surfacer. Unique Organic Workflow allows testing at any point within the design. Animate individual components or entire assemblies. Photo-realistic rendering in real time. Export to a number of 3D formats.